We acknowledge the original people of this area, the Native American Tongva people. The Spanish conquered them in the 1500’s and called them Gabriellinos. The First Mission was located on San Gabriel Boulevard and Rosemead Boulevard, in Whittier Narrows Park. The Whittier Narrows is where the Rio Hondo and the San Gabriel rivers cross. Today, it is a national recreation area composed of many different areas, including; Legg Lake, a golf course, an equestrian center and soccer fields. It is owned by the U.S. Army Corps of Engineers and leased to the County of Los Angeles, Department of Parks and Recreation. Earthworks Farm and the San Gabriel Valley Conservation Corps are partners with the County, and have permission to care for this land, and receive free water, in exchange for providing public education about organic farming to the residents of Los Angles County. The adjacent Community Garden is also knows as the Whittier Narrows Community Garden and is open to the public. 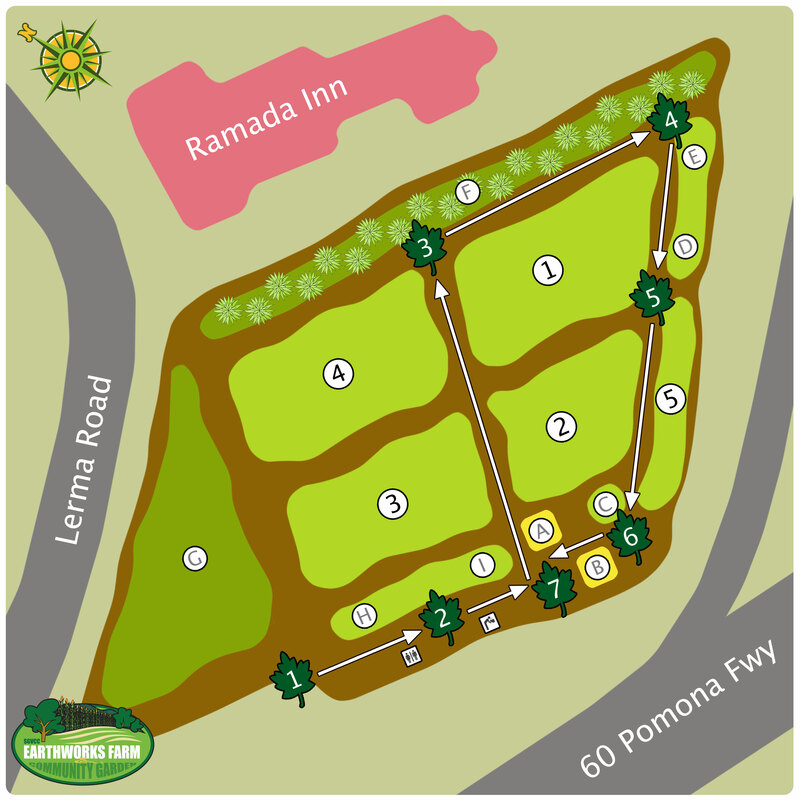 The garden has 73 plots available for rent, of which ten plots are ADA accessible. 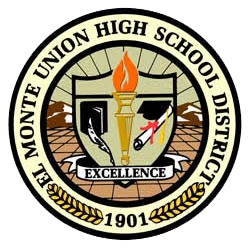 Local residents can inquire about a plot rental through the office of the Los Angeles County Parks and Recreation Department, South El Monte. It is also said, that the Los Angles County Parks and Recreation has a fifty year ground lease with the US Army Corps and is the manger of both, Earthworks Farm and Community Garden. 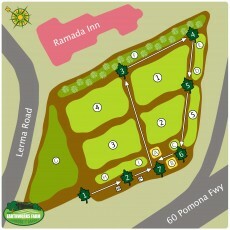 Because of this wonderful arrangement plots are offered to local community members for a minimal yearly fee. 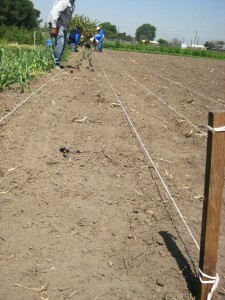 This has created a dynamic exchange of sharing recipes, garden techniques, and organic farm methods among plot gardeners. Earthworks Farm is in constant communication with the farmers, and assists in keeping the land nice and tidy.